Alex Peak - Quizzes - Which 19th Century Anarchist Are You? Which 19th Century Anarchist Are You? forming communities of mutual aid. freeing women from economic slavery. That judge that done hung me. strike up a conversation with him. make him say, "I was wrong," or else shoot him. punch him in the face. pee on him and run. Donate my last meal to the workers! "I will always love you Sasha!" "I forgive you because you are just workers yourselves!" "I'll never die, for the movement will live on!" Nothing. I would just be silent. we would all sing songs together around the campfire. revolvers would work like they were supposed to. 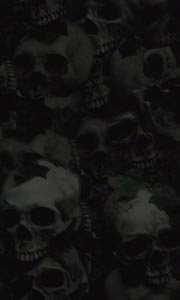 wthere would be no hatred or jealousy and we would all love each other. we would all be like children and get to play all the time. everyone would work together to grow and eat food. landlords would all be forced into hard labor camps. 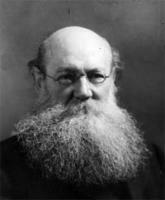 Peter Kropotkin - "Mutual aid is as much a law of nature as mutual struggle." Born in Moscow in 1842, you come from a family of Princes descended from the legendary Russian Prince Rurik. Witnessing first-hand the inequality and injustice of the feudal system at home (your father owned 1,200 serfs), you eventually took up the cause of the peasantry and became the world's first "anarchist prince." A scientific and practical revolutionary, your most famous work, "The Conquest of Bread," describes in simple language how the common people can assume control the economic necessities of life. You are best known for giving mutual aid and cooperation its rightful standing in evolutionary theory. Personally, I think I’m closer to Lysander Spooner than any other nineteenth century anarchist.